Supporting local businesses is integral to my design philosophy. Authenticity, honesty, beauty, and simplicity are the tenets of House of Funk, and I look for these same qualities in the businesses and vendors I work with. 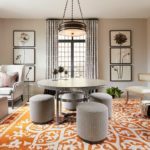 Window treatments are amazingly versatile in terms of both function and aesthetic, and no one knows that better than LuAnn Nigara of Window Works. She’s been in the business since 1982, and her peerless experience and dedication to the industry is extraordinary. Read on for her tips and tricks of the trade. Window Works was originally a franchise started in South Florida in the late ‘70s by my husband’s childhood friend. In 1982, my husband opened the first franchise in NJ and I joined him six months later. As they say, the rest is history. I found that I truly enjoy collaborating with creative designers and clients alike in creating beautiful, functional window treatments and awnings. What kind of window coverings work best for keeping a room light and airy? The options are truly endless. The new, luxury open-weave style fabrics from fine fabric houses such as Donghia, Romo, and Kravet Couture are fabulous for everything from drapes to roman shades. Other ideas include sheer, woven roman shades from fabricators like Grace Richey and Hartman & Forbes. These are perfect for when you want a combination of function and airiness. 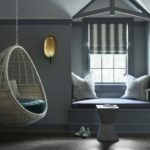 What are the differences between shades, blinds, and drapery in terms of how they affect a room’s lighting? All dramatically effect a room’s lighting. 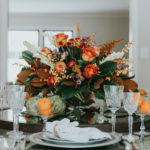 And because of this it is important to establish your goals in this area before either myself or your interior designer can suggest the perfect solution for you. Drapes can be unlined, light-filtering lined, or black-out lined. The same goes for roman shades and woven-wood shades. Generally, the best conditions are created when a combination of treatments are used. A layer to filter harsh light and provide a veil of privacy along with another treatment that provides complete privacy and better light control. As far as the differences between roller shades, woven wood shades, wood blinds, and pleated draperies, all can be manipulated to be either the lighter layer or the heavier layer. 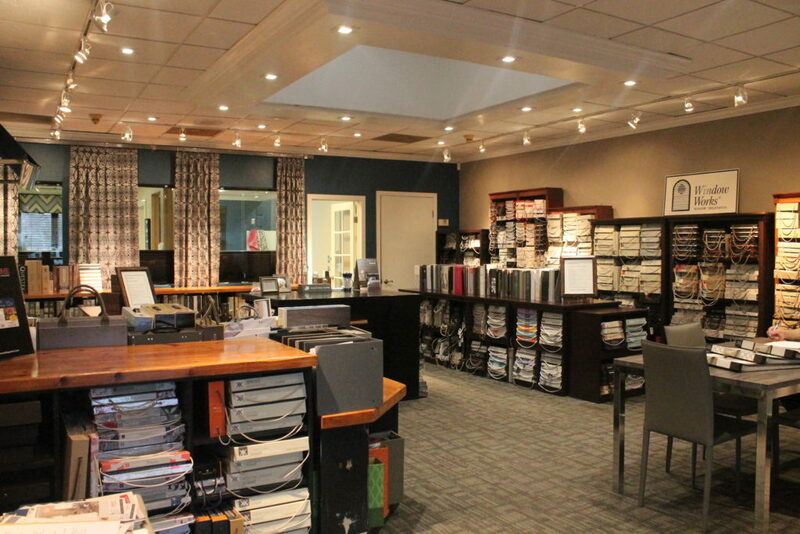 This is where your interior designer or window treatment professional is invaluable. What current trends have you been seeing in window treatments? Ripplefold drapes are the hottest trend in window treatments. They went from a rarely used, commercial-only setting, to the luxury, high-end residential market, and are now being used in every type and style of project. They are clean, sleek, minimalist, and tailored. Another major trend is motorization. We receive daily requests, and have daily opportunities, to provide motorization on every type of treatment from drapes to shades to blinds. The advancements in battery-remote control motorization—driven by companies such as Somfy and Hunter Douglas—have made this type of treatment available and affordable for almost any situation. Do you have a favorite material for window treatments? I love a gorgeous drape made with very beautiful fabric with a wool-blend content. It has the most fabulous hand, and always drapes so nicely. I love Coraggio fabrics as a resource for this look. How often do you recommend replacing a window’s tinting? I would say only if and when it is showing signs of cracking or pealing. On average, what kind of timeline can a client expect with a custom install? Clients should expect blinds and roller shades to take four to six weeks, and draperies, roman shades, and high-end woven shades to take eight to ten weeks. This is always mitigated by fabric availability. What three questions do you always ask clients before beginning a project? 1. How did you learn about our company? 3. I like to know a bit about the client and their relationship to the space. Do they own the space? Have they lived there long or recently moved in? Do they expect to be there under three years, more than ten years? 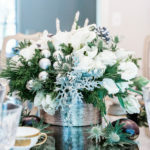 Their answers guide my suggestions and allow me to offer them solutions that make sense for their budget at this point in their life for that particular space. What are the most challenging types of windows to work with? Sliding doors, believe it or not, are challenging because no one wants verticals anymore. Other treatments are also not so accommodating to all the functional aspects of sliding doors. Drapes are a solution, but not for a busy kitchen with children. Blinds or shades work unless there isn’t enough height to stack the shades out of the way to pass through the door (they can be nudgy). And of course, all arch windows, angle windows, and skylights are their own particular ray of sunshine when designing solutions for them. That they are less expensive than the windows themselves. I have had many clients remark that the windows cost less than the window treatments. On a more serious note, the biggest thing is not so much a misconception as an underestimation of how dramatically and effectively a window treatment can change a room. You can layer in the most beautiful furniture, rugs, wall covering, lighting, etc., but if you leave the windows undone, the room will usually feel like it’s still missing something. For those fortunate enough to have sweeping views of skylines, bodies of water, mountains, and the like, there is less of a need for treatments.But even in those cases, a beautiful pair of stationary side panels will further frame and enhance those fantastic views.